Bangalore: At least five venture capital (VC) firms are raising funds, reviving a sector that saw a decline in excess of 70% in deal value in the nine months ended September. Ventureast Fund Advisors, a $300 million (Rs1,389 crore) early-stage investor based in Hyderabad and Chennai, is raising a fund that will focus on life sciences, healthcare, agri-business and clean technologies. While Ventureast has not decided on the corpus yet, it said it would disclose the fund size after the first closing later this year. “It’s a little too early to say how much the fund would be. The fund-raising plans are very much on track and a bunch of investors has committed capital to us," said managing partner Sarath Naru. VC activity is picking up slowly as economic growth accelerates and the markets rise. Micro-venture capital fund Aavishkaar India Micro Venture Capital Fund is raising a $100 million fund for microfinance institutions, which it intends to close before March. The company also has investors who are ready to put in money. “Money is there with people and they just cannot sit on it. For people with a good record of accomplishments, money is not a constraint," said Vineet Rai, chief executive. India Rizing Fund, which is slated to be the country’s first fund exclusively targeting the defence sector, is set to announce its first closing by December. Though some investors do not invest in first-time funds, the sector-exclusive approach of India Rizing Fund has given it an advantage, said Narayan. “We know our target market as well as companies. Our investors understand that we are bound to have successes," Narayan added. In the January-September period, VCs invested $201 million across 46 deals, compared with $709 million across 124 deals a year earlier, according to Venture Intelligence, which tracks VC and private equity activity in the country. The number of deals fell 63% and their value 71.7% as economic growth slowed. The conditions aren’t all rosy even now. A prominent VC firm, which started its fund-raising effort earlier this year, has cut back on deal-making in a market where capital raising typically takes a year to complete even in average market conditions. An official at the firm, who didn’t want to be identified because it is in a fund-raising mode, said it had come to terms with the fact that the capital raising may take four-six months longer than usual. Another factor which may stretch the duration of capital raising is that most fund managers prefer having a bigger corpus than the previous one they raised. Funds that have a track record of investment would find it easier to tap investors, experts said. “It’s difficult for a first-time fund to raise capital. Investors will question them," said Kanwaljit Singh, managing director, Helion Venture Partners. “If a fund has a record of accomplishment and their strategy makes sense, they can raise funds a little easier." The VC industry is also set to see new funds from older market participants. Lightspeed Advisory Services India Pvt. Ltd’s former country head Srini Vudayagiri is all set to start his own investment fund. Vudayagiri said it would be a fund for both venture and private equity deals. Meanwhile, international firms are showing renewed interest in India. 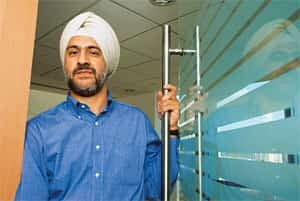 California-based Omidyar Network, which is India’s first philanthropic investment firm to fund both for-profit and non-profit entities, last week appointed its India head. “Our ratio of striking deals for both for-profit and not-for-profit deals in the US is 50:50. In India, the bias is more for for-profit deals as non-profit organizations in India are not set up to absorb a lot of capital," said Jayant Sinha, country head, Omidyar Network India Advisors, in his first interview after taking over. “For-profit companies are managed better and have the ability to absorb cash and can scale better," Sinha added. Omidyar is looking at deals typically ranging in size between $2 million and $5 million in India. The philanthropic investment firm would also consider investing as much as $10 million depending on the company’s business and needs.